A quick public service announcement this morning as the HTC One is now available at every single T-Mobile retail store nationwide. After initially rolling out at less than 300 stores across the US, the One inventory is now stable enough to support a nationwide rollout. If you’ve been eager to find the device and have been unable to do so at any of your local T-Mobile company-owned retailers, the time is ripe to pick up the phone you want to get rid of and contact your local store for details. Not to be forgotten is the launch of the first BlackBerry 10 QWERTY device in the BlackBerry Q10. 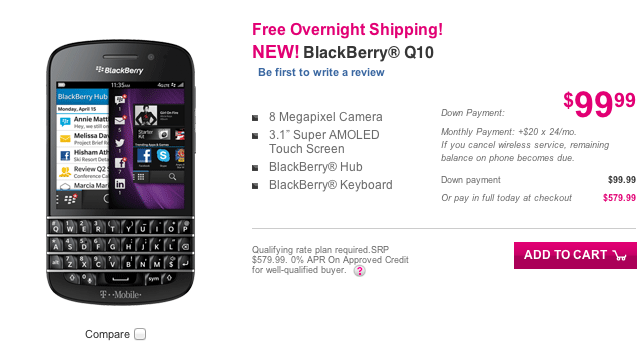 The Q10 initially launched to business customers but is now available for $99 down with 24 monthly payments of $20 each for Simple Choice customers. First off, I wanted to let you know that I always look forward to reading your articles. Just was wondering if you know of any promotions Tmobile will be running for Father’s Day. I am holding off on get the ONE until their next promotion. Negative sir, I promise to post them if/when I do! I just replied to David. HTC is re-running their tradein program for TMo customers if you purchase the One from June 5th through June 9th. 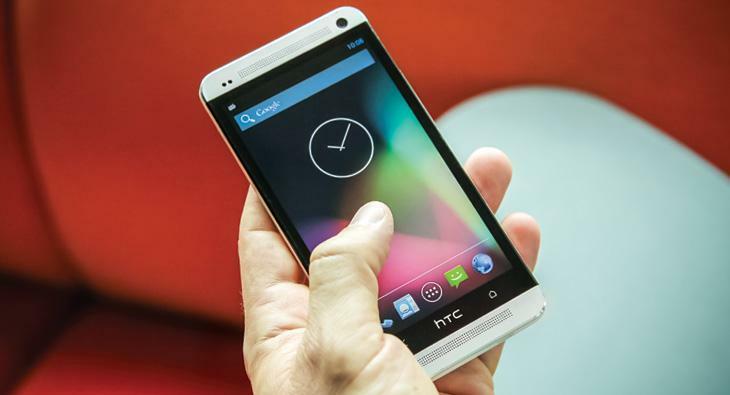 The web site is http://www.htctradeup.com/htcone/tmo in case you are interested. I see that T-Mobile updated their price cards to show the price that customers on plans lower than $50/month have to pay. Was it really that hard for them to do this in the first place? I am seeing improved battery life after the update the HTC One when not using power saver. So far I’m very happy with the One. To make things even sweeter, Google just released Google Stock Android Keyboard to the market for devices at 4.0 or higher. Using it now on my One and way easier experience. Sense was changing words constantly, and maybe I could have made some change in settings so it wasn’t so aggressive. I’ll look into that later but love the stock android keyboard. Search for Google Keyboard at Play Store. Anyway, if you weren’t sure about the One, as a Nexus guy, I am very pleased with it. Seeing the same myself after the update but I always have power saver mode on as I don’t see the difference in performance. Going to bed with 7% after 15 and a half hours of heavy use. Not too bad at all coming from the note 2. I am relieved that the battery lasts. Still not using power saver mode. I’m at 44% after 11 hrs, 44mins. with moderate use. Lots of email, and web access. So, they finally have the One, a month after they were supposed to. Too late for me, unfortunately. Maybe next year, if HTC is still around. Picked up the HTC One from the TMo retail along with their buy 2 accessories get a third for free. Not to shabby so lets start with the shabbiness of HTC Sense (Moto-blur comes to mind if I read into Caerolle’s comments). Yet I digress as I am looking forward to making the most of this phone and enjoying the next gen phone.